Expressive Therapies Continuum is distinctive in its application as a foundational theory in the field of art therapy. First developed by Vija Lusebrink, this theory can be used by persons of any theoretical orientation, and has the ability to unite art therapists of varying backgrounds. The information contained in this book demonstrates how the Expressive Therapies Continuum provides a framework for the organization of assessment information, the formulation of treatment goals, and the planning of art therapy interventions. It provides rich clinical detail and many case examples that enliven the text and promote student engagement and learning. Hinz divides material into three parts. 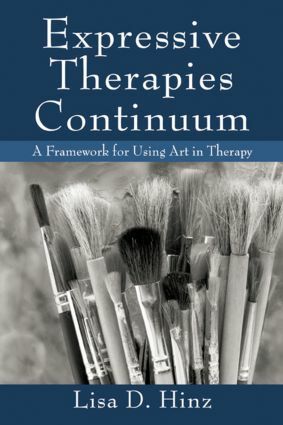 The first describes the historical roots of the Expressive Therapies Continuum and pays homage to contributions from the fields of art and psychology. The seven component parts of the ETC are examined in the second part, and the last part of the book is dedicated to assessment and clinical applications. This book’s easy-to-use format and effectiveness in teaching history and application make it an essential reference for therapists and students.